Michael G. Erena is an Associate practicing in the Health Care industry group, focusing primarily on litigation. He practices out of the Firm's office in Lexington, Kentucky. Michael is an advocate through all stages of litigation — from discovery and motion practice to trial and appellate work. 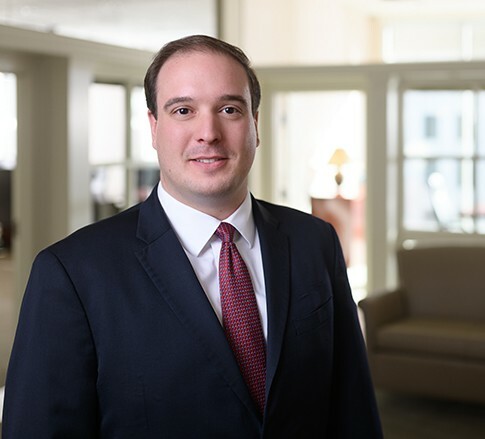 Prior to joining Jackson Kelly, Michael focused primarily on civil defense litigation. Michael's litigation practice is ever-expanding and evolving across a variety of industries and disciplines. He particularly enjoys the challenge of tailoring the best strategy for each client's unique needs and goals, both inside and outside the courtroom. In his free time, you'll find Michael cheering on the Kentucky Wildcats and the Notre Dame Fighting Irish, relaxing with family and friends at Lake Herrington, and looking for new DIY home improvement projects to take on with his wife, Hannah.